You look fantastic! All belly for sure. It’s too bad you’ve been so uncomfortable – I’m sure I’ll be in the same boat in a handful of weeks. How did Mrs. Duggar do this 19 times?!?!?! Looking forward to seeing the nursery! I know! Some women say they love being pregnant… I am not one of them. The outcome is worth it but I’m glad the end is in sight! 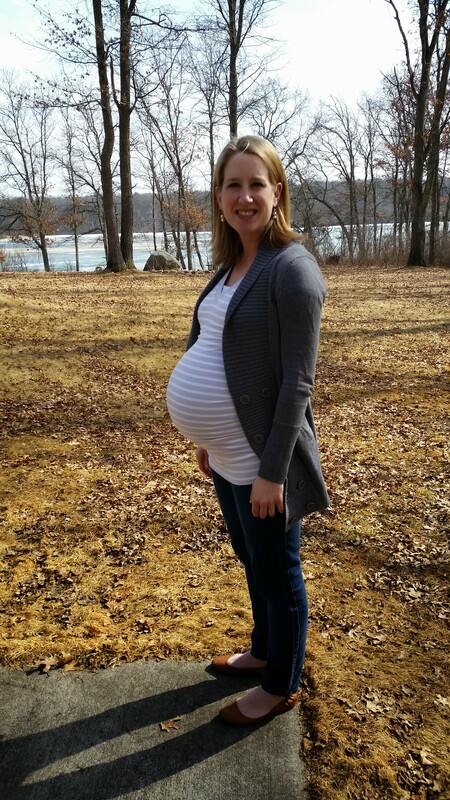 Before I had my baby (at 39 weeks) I was getting up at least 5-6 times to pee at night. I’m glad that your tailbone has healed because my dad was a c-section baby for that very reason; my grandma had a broken tailbone when she went into labor.